From August 2-3, Cultural Capital of the Riviera Nayarit will regale its visitors with stellar performances from Colombia’s Systema Solar and Spain’s Héctor Guerra, as well as offer a variety of free sporting events, cultural happenings and artistic expressions. San Francisco, the Cultural Capital of the Riviera Nayarit, announces its 2014 San Pancho Summer Festival with the sole intention of increasing the number of young tourists, especially those interested in sports, art and culture. August 2-3 will be filled with a variety of free activities at Playa San Pancho and the Plaza del Sol. REP Productions is in charge of organizing the event, with the support of the Riviera Nayarit Convention and Visitors Bureau (CVB), among other sponsors. The volleyball and soccer tournaments start Saturday at 11 a.m. on the beach to the beat of DJ Red Bull Open. A surf expo will be held that afternoon at 6 p.m. on the same stretch of sand. The concert starts Saturday night on the Plaza del Sol at 9:30 p.m. with Sayulita’s DJ Rodrigues, Spain’s Secta Selecta, Guadalajara’s Kennaz DTM, a surprise band and San Pancho’s Dr. Chaneke playing until the wee hours of the morning. The tournament winners will be announced on Sunday afternoon starting at 5 p.m. on the main stage on the beach, where Dr. Chaneke will open up the festivities followed by San Pancho’s Bola Pirata, Spain’s Héctor Guerra and Colombia’s Systema Solar. REP Productions has already managed several cultural events in San Pancho, highlighting its art to the domestic and foreign inhabitants of the community. Their goal is to promote the authenticity of a typical Mexican village and its people. The 2014 San Pancho Summer Festival is the pilot event for a project proposal for four events a year, with an estimated attendance of about two thousand people for each one. There are local camping, hotel and villa packages available for those coming in from other areas of the country, a wise move on the part of the organizers to fill the needs of the visitors and support the local economy. 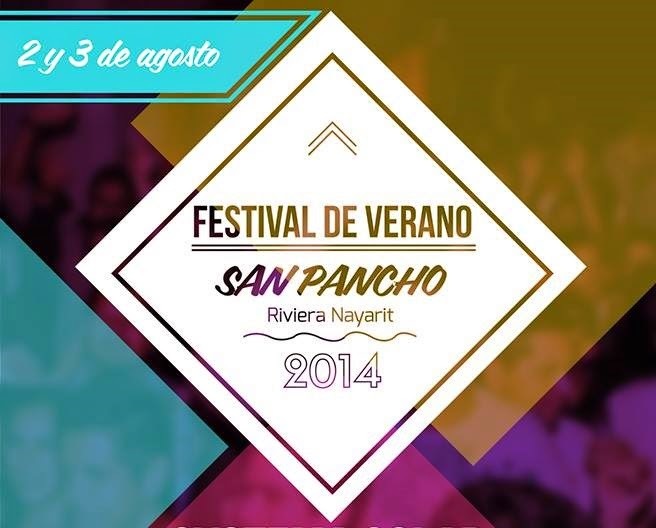 For more details on the packages visit: http://www.rmtv.mx/trends/festival-de-verano-san-pancho/.